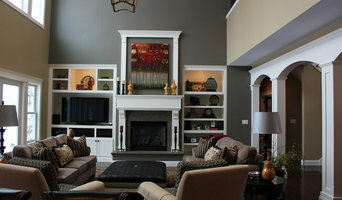 Greystone Homes is mid Michigan's premier custom home builder. We routinely build custom homes in the Midland/Bay City/Saginaw area, but we'll occasionally take on a project in northern Michigan as well. 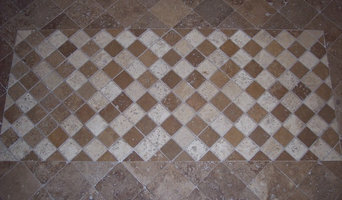 We also do kitchen and bath design and remodeling from our design center in Midland. At Greystone Homes, we take pride in every home we build and in working with each customer to engender personality and character into their home. Part of our “package” is the opportunity to work with one of our interior designers before and during the building process. Whether you just want someone to confirm your ideas with or you’re looking for someone to bring together all of the details, our designers can help you achieve the wow factor! Interior Design Company offering clients services throughout any or all phases of building, remodeling and redecorating. From initial concepts to design, we can help you complete your design goals. Greenwald & B.C. Inc. provides residential and commercial construction services to clients throughout Central and Northern Michigan including Mt. Pleasant, Beaver Island, Charlevoix, Isabella and Gratiot Counties and surrounding areas. For more information regarding our many services or to set up a consultation simply fill out the short form below or email Colin / Preston directly by using the contact info found below. We look forward to hearing from you and getting started on your next project. We specialize in custom built homes, luxury kitchen’s, bathroom remodeling, high end patio’s, maintenance free deck’s, and beautiful outdoor kitchens. We can build from your plans or ours, or we can provide architectural services. Our reputation as the top builder in the Higgins Lake area has been established from 33+ years of satisfied customers. We have completed many projects in the Roscommon, Houghton Lake, Grayling, and St. Helen areas as well. Founded in 2007, Pistro Builders has built a foundation on honesty, integrity and personability. 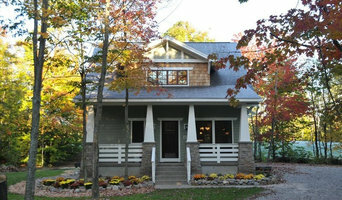 Owner, Charlie Pistro is known as a smart, innovative and thoughtful builder of quality Michigan new homes. 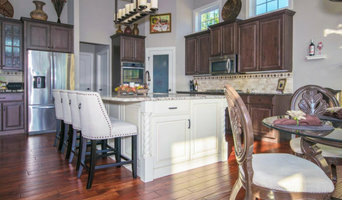 With over 100 homes built in the last 10 years and many remodeling jobs, the company has held a tradition of crafting beautiful homes with functional floorplans, catering to the distinct needs of today’s homebuyers. From site selection to the sale of completed homes, Pistro Builders focuses on the creation of lasting residential, commercial, renovations, and restorations with distinctive character and elegant appeal. Pistro Builders takes pride in keeping things local. Frequenting local suppliers, using talented local sub-contractors, and buying their work trucks locally! In addition to that, we understand the importance of location. We work with great developers in wonderful subdivisions giving you plenty of residential homes and commercial building sites. From dream to reality, Stephen Flora Homes will see your building and design project through! With over 50 years of knowledge and expertise in the home improvement business, here at Eurich Home Improvement we will do whatever we can to help make your home improvement and renovation dreams become a reality. We believe honest pricing, hard work, and satisfaction are the three key points for a successful business. It is our mission to bring you outstanding work on your project using top quality materials from the biggest brands on the market at fair prices. Mark LeVasseur Builder has been creating quality, energy-efficient homes for over 40 years. A commitment to excellence is the main goal of our company. Whether it is a remodeling job or your dream home we can help make your dreams reality. Our employees bring a combined 70+ years experience to each home we build. Please contact us for an estimate at (989) 662-4848. Cobblestone Homes leads the way in home energy efficiency, health and safety, building beautiful, comfortable homes where memories are made and families are nurtured throughout Michigan's Great Lakes Bay Region. We offer flexibility and personalization — not stock solutions — to ensure your new home perfectly suits your needs. From the very beginning, we believed so much in Cobblestone Homes that we financed the company by selling our own home and moving into a 500-square-foot apartment in our horse barn. It paid off. Today our reward is seeing how much our clients love and cherish their home-building process with us. Many of those homeowners are our friends. Our fascination with homes goes all the way back to when we were dating in high school. We bought books, videos — any information we could get our hands on — to learn more about real estate. Soon after graduation, we bought our first house, fixed it up and rented it out. We continued to buy, remodel and rent out homes, but when we met some dear friends in Oklahoma, our mission changed: We would go from improving to creating. Those friends, residential home builders themselves, helped get us started in home building and encouraged us to meet builders in our home state of Michigan. In 2002, we built our first house. A passion was born. We realize you have a choice when it comes to who you choose to build your home, and we are confident that our entire Cobblestone team – from the electricians, to the plumbers, to the heating and cooling specialists – will make you glad you’ve chosen us. Our people care about more than the house – we’re here to make it your home. At Cobblestone Homes, we are passionate about what we do. In turn, we hope to share that passion with you throughout the creation and building of your dream home in Midland, Bay City, Saginaw and beyond. Your home, your way. We look forward to working with you. Full service design, build and remodel company. Family owned and operated, licensed and insured. Free consultations. Basements, bathrooms, carpentry, decks, doors, electrical, insurance work, kitchens, new home construction, plumbing, pole barns, sheds, concrete, roofs and more.